Will grow 3' tall and 6' wide. 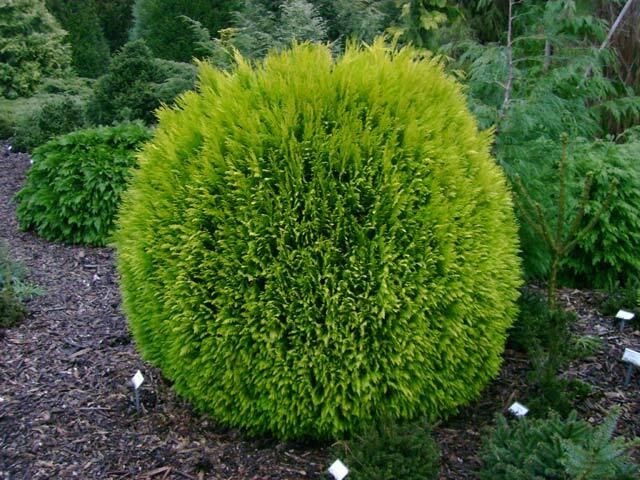 Grows as an irregular pyramid with dense tufted branching. 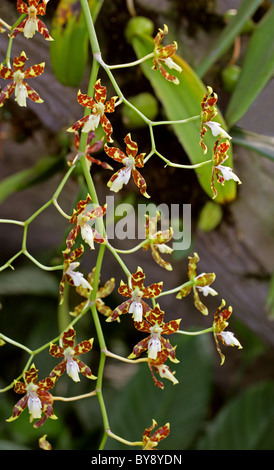 This cultivar is wider and taller than Emerald Green which has become the most popular. Grows in sun to shade, ' tall. 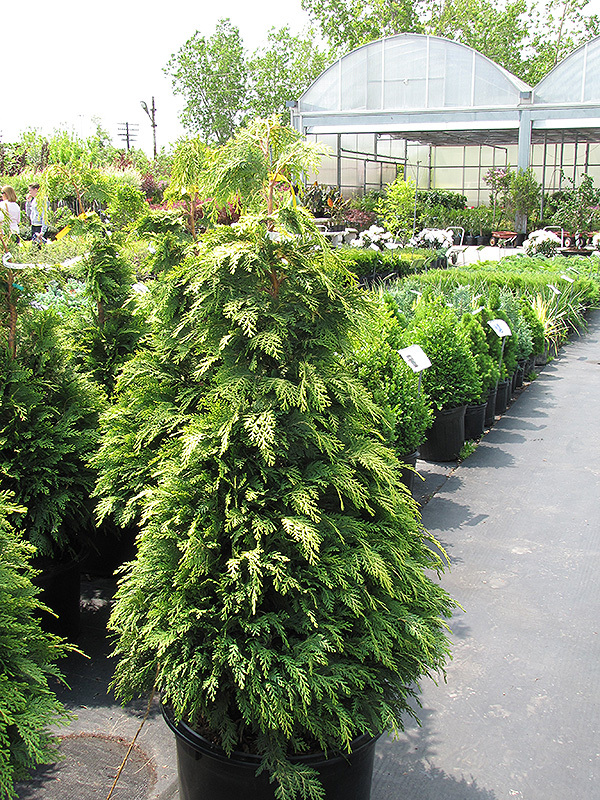 Evergreen foliage and great in the shade with a less dense habit than if grown in sun. Available for Nursery pickup only. The habit is a bit more open which gives a better shape than the species. 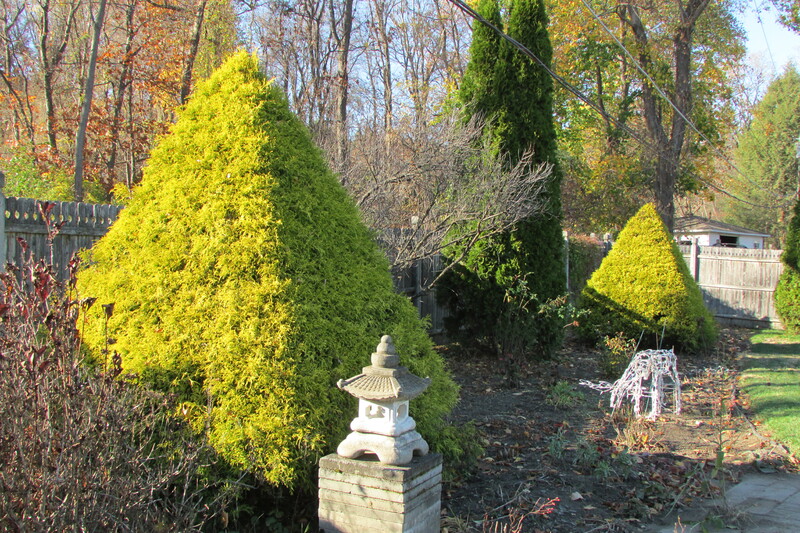 Smaller form of gold thread falsecypress reaching only 6' high and 5' wide. Great for a rock garden. The colder it gets the more gold it becomes. Dense, broadly pyramidal habit, reaching about 2 feet. Slow growing rugged Juniper with an irregular upright habit. Forms an irregular pyramid with age. 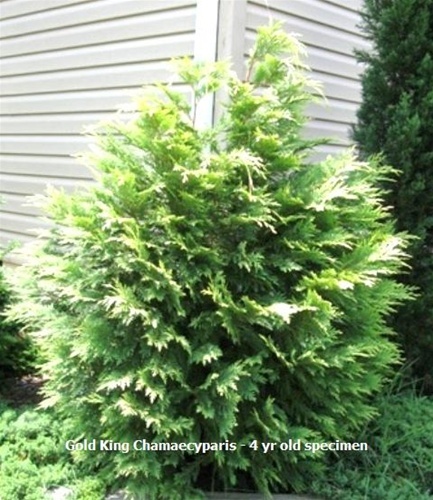 Chamaecyparis pisifera 'Squarrosa Intermedia' - Dwarf Blue Sawara Cypress Zone 4 Semi-dwarf conifer which produces long feathery blue whip-like shoots great for topiary work. Forms a small pyramid to 6'.